What is Unamo SEO ? How much does Unamo SEO cost ? 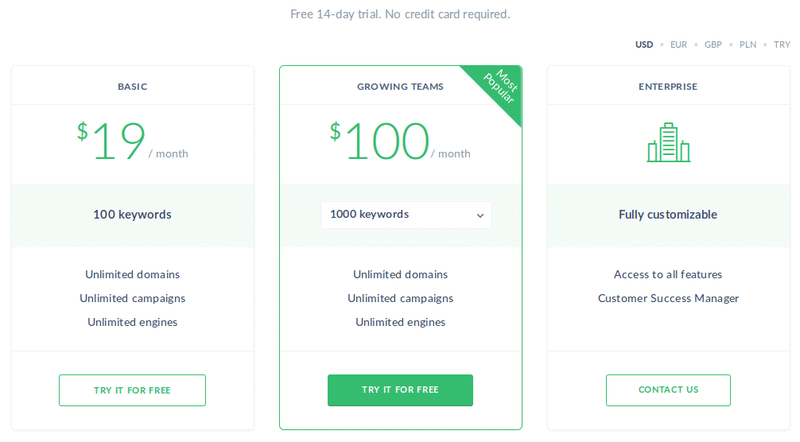 The pricing for Unamo SEO starts at $19.0 per month. Unamo SEO has 2 different plans such as - Basic at $19.0 per month and Growing Teams at $100.0 per month. Unamo SEO also offers a custom plan based on the customer's request. 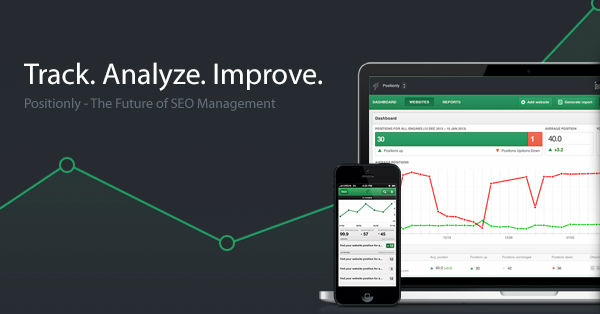 "Searc Marketing is developed by Unamo SEO"
Unamo SEO integrates with a lot of applications and APIs. 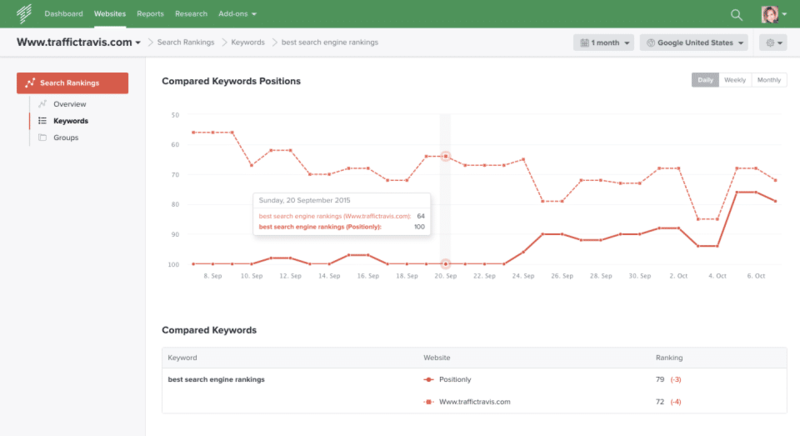 I like that Unamo SEO has all the features for keyword tracking and backling in one place. Only customization, which is a bit tricky, mainly when you do not have an idea of where you should start. "Unamo SEO for website search engine optimization"
I like the fact that checking the website’s position in the Google SERP is fast. After a couple of minutes, I get the results for the keywords. You do not need to wait, even if you have added hundreds of keywords. 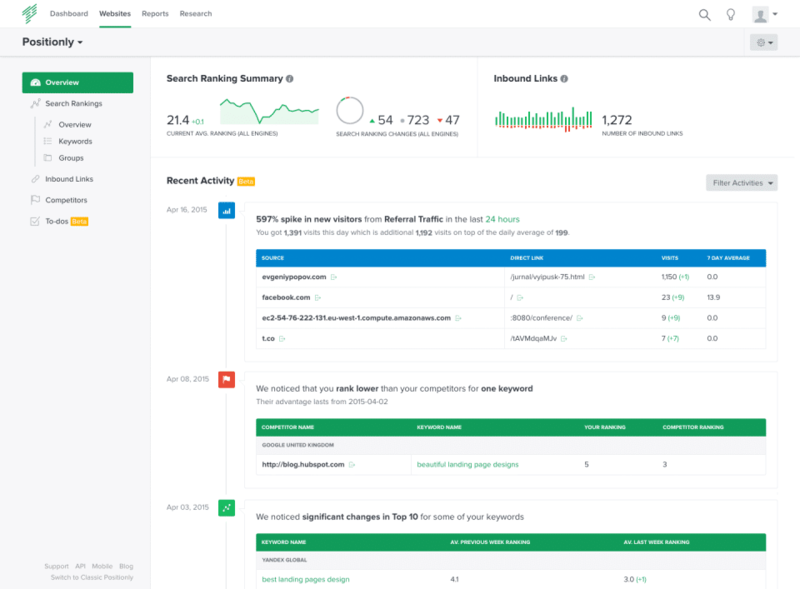 I like the fact that Unamo SEO provides integration with the Google Search Console. I like the fact that in Unamo SEO you can set up alerts for several e-mails. Site pages are loading slowly. I think that system administrators should better configure Load Balancer for the site. I do Local SEO for sites in different regions of Europe and I need to know the position of the site in different regions. I don’t like the fact that in Unamo SEO there is a very limited selection of regions for scanning positions in the Google SERP. I also don’t like the fact that it’s not possible to receive SMS alerts if there are problems with the site (Google Penalty). Yes, it is possible to use e-mail alerts, but this is not as convenient as SMS. I also do not like the fact that I can not get historical data about the positions of the site. I understand that processing such data requires a lot of resources from a startup, but this is very important in SEO. I use similar data to search for sites that go up in the Google SERP, then I explore the SEO strategies of these sites. I can receive alerts only if changes occur in the Google SERP for the desktop. Since Google uses Mobile-First Index, I would like to be able to receive alerts if changes occur in the Google SERP for mobile. Processing data about the positions of the site in Google is very fast. For other tasks I use other services. This product does not provide detailed reports on backlinks, snippets or Google penalties. 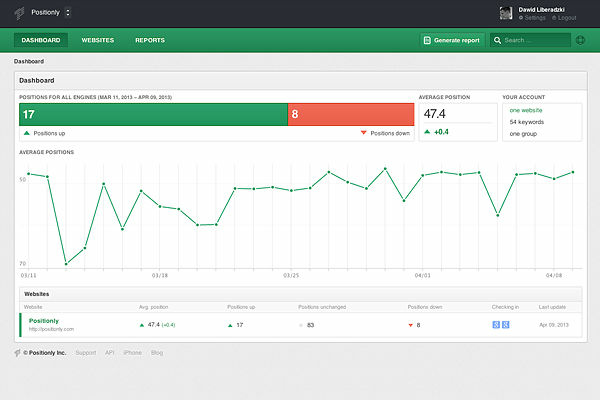 I use this product to monitor the position of my site in the Google SERP. For other SEO tasks, I use other tools. 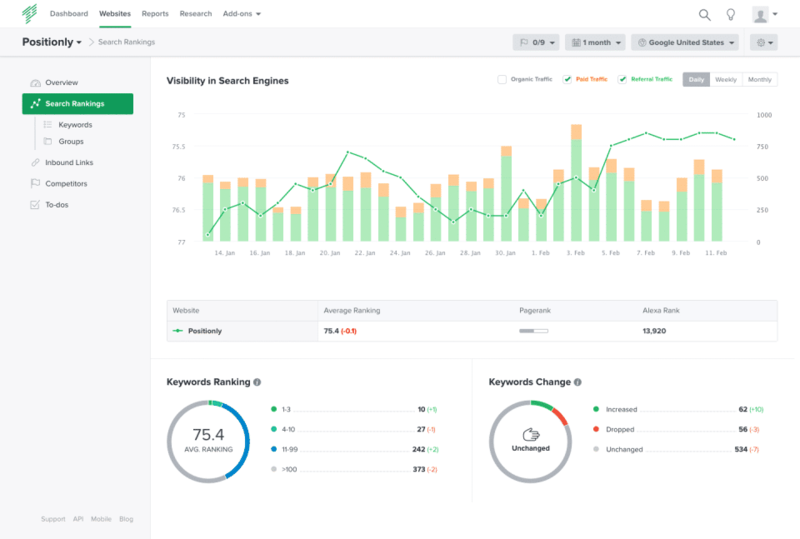 "A very user friendly intuitive SEO tool"
"The best for SEO activities." We love just about everything in Unamo SEO. The interface is beautifully designed and extremely easy to use. The features that come with even the most basic plans like multiple Regional search engines in each campaign and SERP Features are extremely useful and something we haven’t found as included functionalities within other tools. Nothing so far. If we have ever questions or issues they have phenomenal support. Any agencies dealing with multiple clients in different regions should definitely be using this product. We are like an agency as a Restaumatic.com for our customers (1200 restaurants). We do for them digit marketing. 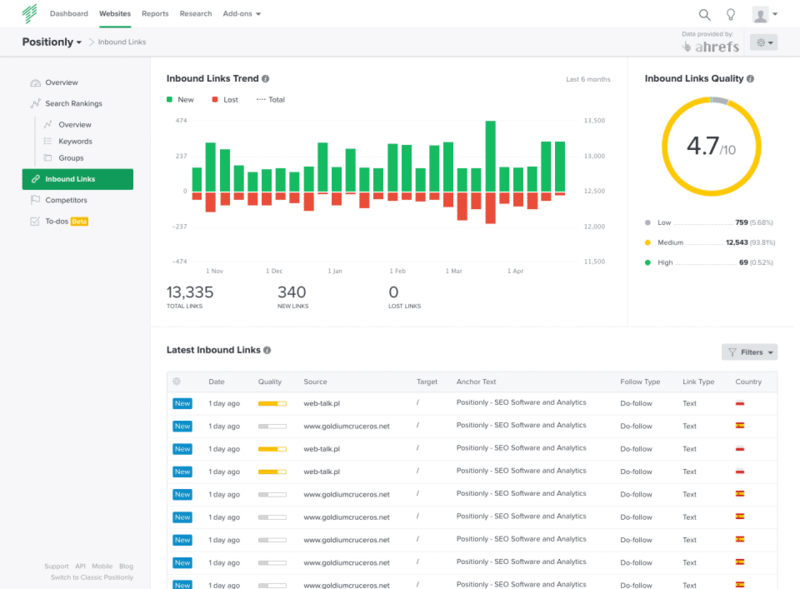 Each campaign allows us to track our domain in different regions of a country so that we don’t need to be monitoring several different campaigns at once for the same client. The reporting is also wonderful and gives us the flexibility we need to keep our clients informed about the metrics they care most about. We’ve been helping our clients broaden their presence in the search engines in different regions. Unamo SEO has saved us a ton on time and money in terms of providing us with accurate data we need to boost their local SEO rankings. I can’t stress enough the added bonus of being able to monitor multiple localities within the same campaign. The attention to detail within the control panel and also from the support team. Unamo is always adding new amazing features. My only dislike is that as soon as I get my head around one feature a new one appears for me to learn. So I suppose that isn't a dislike but more of a positive frustration. Give it a go, you wont be disspointed and will be blown away with the attention to detail. A very quick overview of keyword positions and the ability to track cometitors keyword positions too. 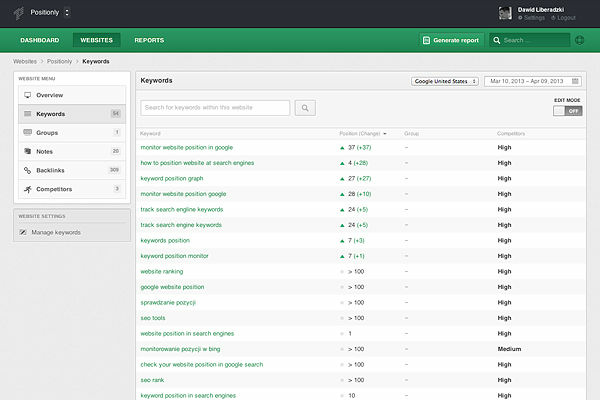 The ability to boost certain keywords by reasearching basic errors / suggestions to tweak within a page. 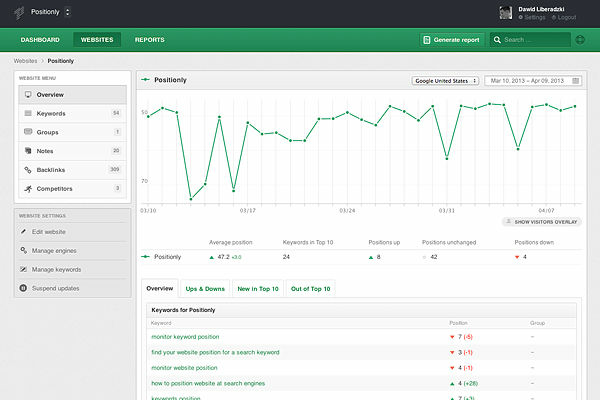 "Good software for keyword ranking and backlinks"
It's easy, have a clean user interface and manageable. I wish there was keyword volume data integrated with the keywords list. We can see our overall SEO health and prioritize our marketing efforts which involved content marketing, keyword strategy and backlinking etc. Once you know health of something, you can improve it but if you don't you can't. 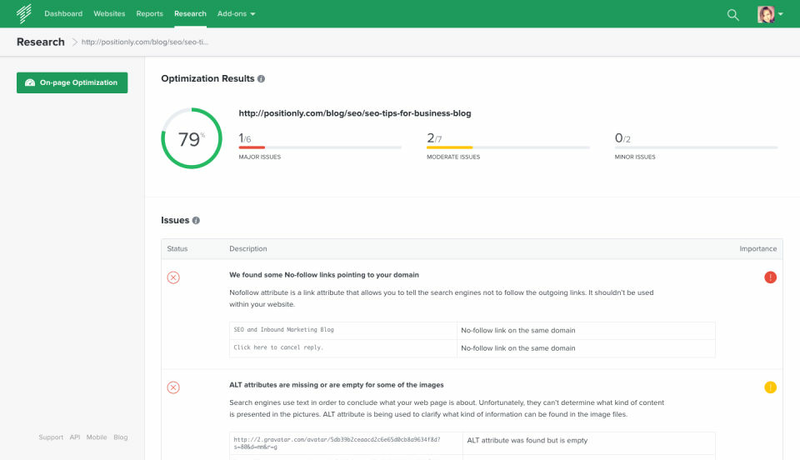 "A SEO tool to impress clients"
no special prices for LATAM clients, it would be great to include it. "Effective App and Friendly Service"
Easy to use interface and very quick response from support. "Great UX, Mostly Accurate Rankings"
The ability to group keywords into buckets, and the fact that you get mostly accurate rankings that are a reflection of location-based queries. The date range selector, you can't manually type the dates in you have to select them from the calendar visualization which makes going back 1 year + a PITA. Keeping track of client rankings. Accurate rankings, good overview of growth rates and competitors. I would like to have more PPC tools. Like a rankings overview for all of our ads + see who our competitors are. All of our SEO strategies.